BBC Radio 4 sitcom set in a newsagent shop. 44 episodes (8 series), 2007 - 2018. Stars Sanjeev Kohli, Donald Mcleary, Omar Raza, Susheel Kumar and others. Series 7, Episode 4 is repeated on Radio 4 Extra on Wednesday at 7:30am. Ramesh is keen that young tearaway Keenan has good male role models. His solution is to engineer a meeting with potential suitors for Keenan's mum. Ramesh is delighted as he teaches his son Sanjay some of the finer arts of shopkeeping. But is his eagerness only due to the fact that he wants to borrow his dad's Merc? The Wall of Crisps welcomes another snack to its ranks. However, the Chutney Windmills bring more trouble than they are worth. Mrs Muirhead's devotion to the scale model of the Titanic is as doomed as the ship itself. Ramesh concocts a fake religious festival in an attempt to shift the mountain of fireworks he has been unable to sell since Bonfire Night. Trouble brews when Ramesh agrees to let a member of the UKRP put a poster up in his shop window, but Ramesh has the last laugh. 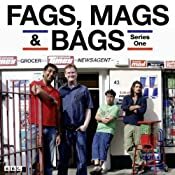 BBC Radio 4 sitcom written by and starring Sanjeev Kohli and Donald McLeary, set in a Glasgow corner shop.